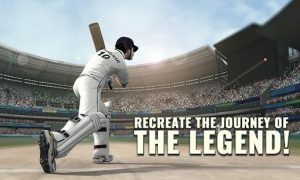 Sachin Saga Cricket Champions : PLAY AS SACHIN TENDULKAR LIKE NEVER BEFORE! Play as the master blaster himself in his most iconic matches from his past in the same conditions and stadiums as he did. Start the journey f a young 16-year-old Sachin that made him a legend and play his glorious career of 24 years. Earn Reputation Points [RP] as you progress through Sachin’s career. Collect enough RP to compete in different time-limited events. Build your dream team and play a full game as a 11-man squad in up to 50 over matches and compete with real players in the game to fight for the top spot in leaderboards. Multiple time-limited events hosted every month that allows you to play your team against other teams. Over 100 Legendary cricketers to be collected and added to your team. Acquire players from recent teams and yesteryears and build your own team. Cricketers have varied levels of Rarity ranging from common to legendary. Play in world famous stadiums from around the globe. Gameplay emulates pitch conditions of that stadium. Battle friends and other players alike, to win trophies and other in-game rewards. Stand a chance to win authentic signed merchandise from Sachin himself by winning the leaderboard events. Win other exciting rewards from different time-limited events that you win. Win Streak – Win matches in succession to get extra rewards. GET_ACCOUNTS- GET_ACCOUNT – This is to verify if our user is synced with the Google account on mobile, and generate the key value for each user. 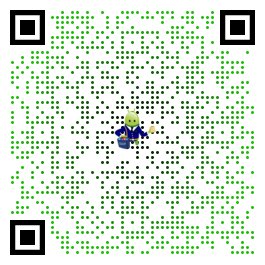 Graphics is awesome on s8. Gameplay is smooth and event mode is best. Controls needed to be better. Add different types of shots, add bowling, stumping and batsman view angle camera as well. Bugs and optical improvement is required. But for first global launch, it is great and amazing. Sachin should also come in helmet and tournament mode should be added to improve the enhancement of this wonderful and mind blowing game. Umpire acsents should be greater and rays behind the ball shouldn’t be there, ball could be seen clearly. In next update, I want this game to be like DBC 17. More enhancement is much required but controls are the main problem in it. Thanks for your Love and Support, your feedback is valuable to us. We will continue to add amazing new features in the future updates! This is the best game of cricket. For me earlier it was WCC. There was some things I noticed like 1. just I went to pick eleven players of my team in events – after picking two players my gems were zero and I wanted to return back but back key functionality was disabled there. 2. It takes little more time to load. Try to minimize it if possible. 3. While fielding, before the ball reaches straight to the fielder, fielder is moving i.e. like jogging in its place. Jogging should be stopped. Thanks, it’s strokeplay is awesome . It’s all Sachin’s game and his life which we can live here. It’s all dedicated to GOD. And a perfect gift for all of Sachin fans.